Jerry Wayne Bement has been creating unique metal silhouettes since 1980. Jerry began by hand cutting his images and incorporating them into functional items such as weather vanes, coat racks, signs and furniture. Jerry Wayne Bement has been creating unique metal silhouettes since 1980. Jerry began by hand cutting his images and incorporating them into functional items such as weather vanes, coat racks, signs and furniture. 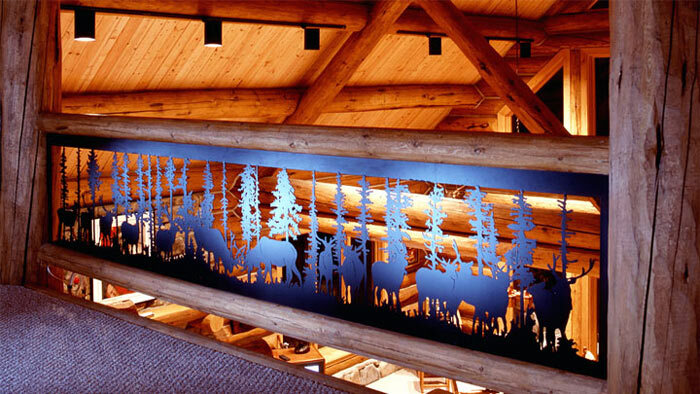 After 22 years of drawing and cutting images by hand Jerry switched to a hand drawn, yet computerized plasma-cutting table and turned his focus to balcony panels, stair panels and fire screens. Balcony Panels J. Dub’s balcony and stair panels are cut from 3/16? plate steel. Hand drawn and machine cut, the panels are then cleaned and powder coated with a variety of colors. These are heavy duty panels that can be used both indoors and out. All panels meet the 4? maximum gap building code. Please visit our website to view over 250 panels that are ready to choose from or use them as a starting point to begin designing your own custom panels. 30 Cowboys The 30 Cowboys is my signature image. It was my first long image. Designed in 1990 it has been my most popular. Esquire Magazine, Pacific Northwest Magazine, The Seattle Times, and others have featured this images in their articles on my work. I have cut hundreds of cowboys in all lengths and scales over the years. They have been used in many ways such as on ranch signs, coat racks, weather vanes, on walls, open beams, and in large windows. It has been interesting to see the many ways our customers have used the image. Fire Screens The stand alone screens are arched out and up in a unique design developed by J. Dub's. They come with the image of your choice and have hammered steel and bronze highlights. A replaceable heavy screen is applied to the back side. These screens have a clear coated finish. 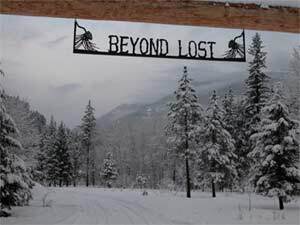 Ranch Signs Since 1980 we have made hundreds of ranch signs, commercial signs, entrance signs, and yard signs. Sizes have ranged from two feet long to almost forty feet long. The Go Away sign is my most popular sign. It is one of hundreds of signs I have created. See more examples below. Architectural Accents If you're looking for that superlative architectural accent to set your place a part from the rest, contact J. Dub's to see what we can do for you. J. Dub's for all your functional and decorative metalwork needs. We have done custom work for hotels, restaurants, offices, resorts, galleries, gated communities and more! Check out our site to see many more ideas including metalwork for: Decorative Silhouettes The General Door Coverings Commercial Signs Gates Tables Coat Racks Weather VanesWe offer the best prices, the highest quality, the most images and the fastest turn around. With over 25 years of satisfied customers! Visit our Testimonials page to view pictures and read comments from just few of our satisfied customers.